Dr. Stella Lau is a native of Las Vegas and graduated from Clark High School. She completed her undergraduate studies at the University of Nevada, Las Vegas with a Bachelor of Arts in Asian Studies with a minor in Biology. Dr. Lau graduated from the Southern California College of Optometry in 2005 and went on to complete a residency program specializing in Primary Care Optometry and Ocular Disease on the Navajo Indian Reservation in Gallup, NM from 2005-2006. After completing her residency, she stayed on the Navajo Reservation for another 3 years to continue providing eye care services to the Native American population. During that time, she gained experience in diagnosing and treating many ocular and systemic diseases including diabetes, hypertension, autoimmune diseases, and trauma. Dr. Lau was the diabetic eye care coordinator for the Northern Navajo Medical Center from 2007-2008. She also worked extensively with the pediatric population while on the Navajo Reservation. In 2008, Dr. Lau returned to Las Vegas to practice and has been practicing in Las Vegas since. 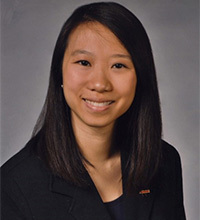 Also in 2008, Dr. Lau received her Fellowship from the American Academy of Optometry, of which she is a member. Dr. Choi is a Las Vegas native, graduating from the Math, Science and Technology program at Ed W Clark High School. She has always wanted to be an optometrist and received her doctorate of optometry from Indiana University School of Optometry. Dr. Choi successfully completed externships at Indiana clinics and the Veterans Administration in The Villages, FL and Montrose, NY. 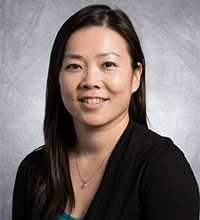 Dr. Choi has been practicing in her hometown since graduating and has interests in trying new foods, music, and spending time with her family.